Greece’s sovereign debt market has enjoyed a quiet but strong rally in recent months, with the country’s benchmark 10-year bond more than doubling in price since its nadir in late May. 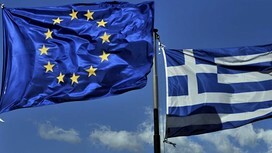 The €3bn bond maturing in 2023 still trades at a price of just 28.7 cents in the euro – indicating that investors still think that Greece’s government finances are deeply distressed – but that is up from a trough of 13.9 cents in the euro on May 31. The current price equates to an annual yield of 18.9 per cent, down from almost 30 per cent before the summer, and the lowest since March. A senior government bond trader said that the tentative recovery in the price of Greek government bonds had primarily been caused by hedge funds making a “speculative” bet on the embattled eurozone country.